yessir. Got a series comin' up for these bad bois. Welp, that took a while. Because I'm petty, I would like to say I'm going to be the best proverbial Mario Kart ghost by making POUND FOR POUND the best concepts this board has EVER seen! Believe me, folks, when I say it's gonna be the best, its going to be the BEST. Okay, maybe not. I'm not all that put together and I think I just gonna do this in the laziest way possible, but I'm not sure yet. I'm going to try really hard to make this better than everything else I've done before. I WILL NOT do a part 2 like @SFGiants58 did, as I just don't want to. I WILL be going out of order, as I have some stuff already saved. I WILL finish this series if this is the last thing I do. and lastly, I MAY add in depth analysis for why I made my concepts the way I did. The 'A' thing is a tribute to the NASA logo's red thing. For the colors, I felt like the whole set needed some sort of facelift to incorporate red and yellow into the scheme further. I also had original plans for the home and away uniforms to mimic the '89 to '93 sets, but I felt like the sleeve stripes were enough to bring the red and yellow into the scheme without them overpowering the orange elsewhere in the set. Also, fun fact about the 89 to 93 away uniforms: They were actually used starting in 1980, and the tequila sunrise uniforms were only the home uniforms from '80 to '85. I would like to thank the guys in the authentic shop at Minute Maid for alerting me to that little secret. Also also, @CC97, idk if you care, but that may be something that would be good to verify and maybe update. I'm not sure. 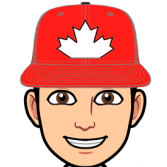 Oh, and just to get this extra thing out of the way, yes I will put the swoosh on the front of the jersey, in the expected instance that Nike becomes the official MLB uniform supplier. I don't necessarily like it there, either, and I won't put it on throwback uniforms, because unlike SOME PEOPLE, I respect uniforms and the concept of authenticity. Yes, the A is very Treky. The colors are what makes my heart skip a beat..... for the better. Well, imitation is definitely the sincerest form of flattery. 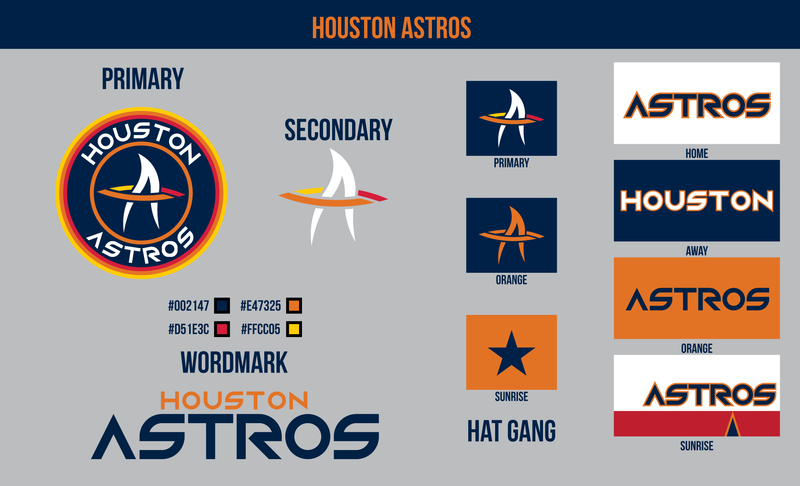 While chasing @SFGiants58 is a futile endeavor, I have to admit this is a really nice Astros concept. You have my attention, and I look forward to following along. EDIT: A few suggestions: Add white outlines to the wordmark and numbers on the orange alt for consistency with the other jerseys and use the sleeve patch you used on the home and road (the primary logo with the sunrise colors). This is really fun. I always wondered why more people didn't make the Astros into more space-y type stuff. That blue jersey is really awesome. Looking forward to the rest. I actually had a version similar to what you suggested, but scrapped it early on. I wanted to add more white, but the whole idea was to just emphasize the orange to an extreme extent and adding a white outline would mean you would need to add white everywhere else to keep it balanced. And maybe a gray away jersey with only orange (no navy trim) would work? Regardless of my suggestions, everything already looks really amazing! I love the font; it's perfect for the Astros! 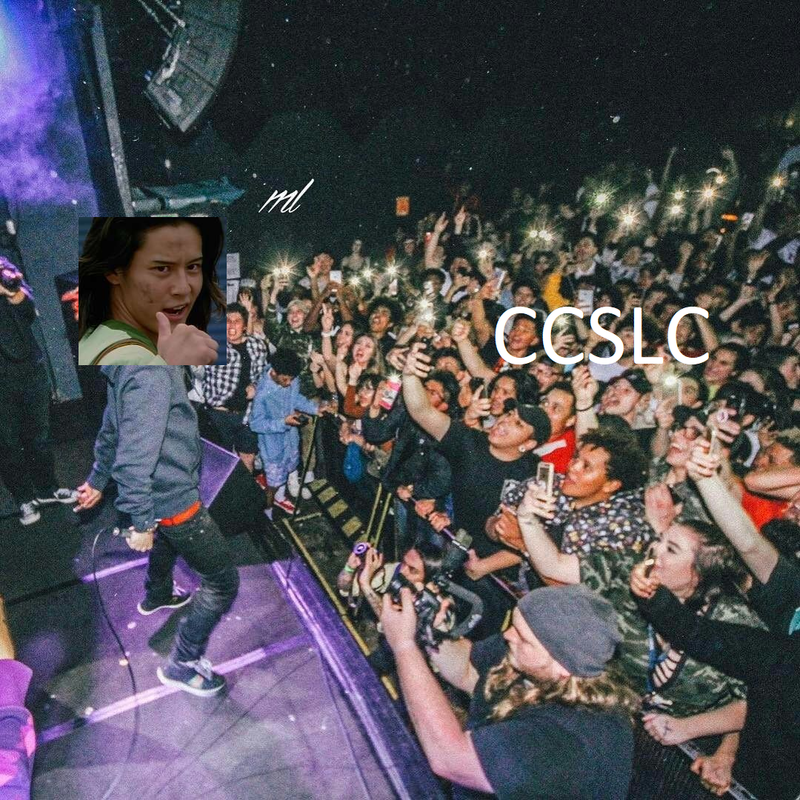 The updates look great! Definitely an improvement. When working on my San Diego logo project last year, as well as over time on the boards, I've grown accustomed to the consistent bickering about the colors of the team and which era to pull from for a concept. My original idea was to blow up the identity once again and disregard every previous period in Padres history, because that would actually just so happen to fit in to their history, but ultimately I ended up with recreating (or creating something similar to) their current wordmark for a few reasons. Firstly, I like it (duh), and second, it fits relatively well with their current iteration of their interlocking SD logo. I wanted something that would appeal to everyone by creating a clean, but not too clean look that can hopefully satisfy all of the color combinations your heart could desire. 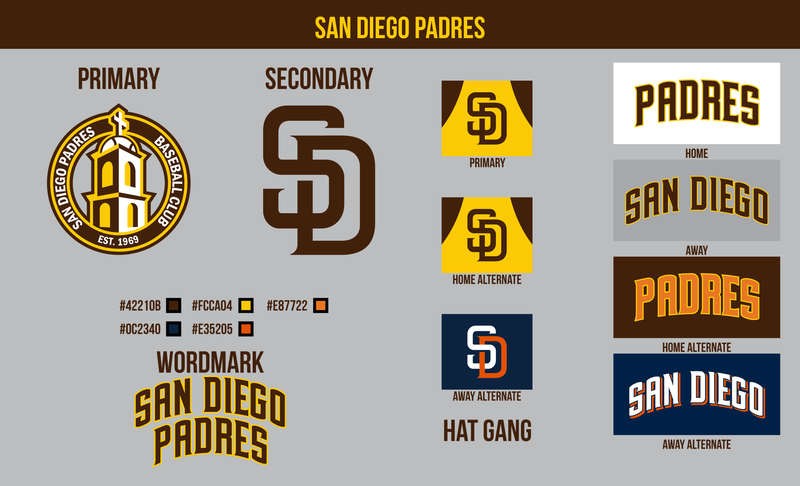 For the home and away sets, I wanted to stay traditional and made sure to reference the padres uniform history to see if there was anything that I could pull for my own purposes (someone put this together, I think I found it from someone's signature here on the boards, but this database should exist for all major league teams. Period.) 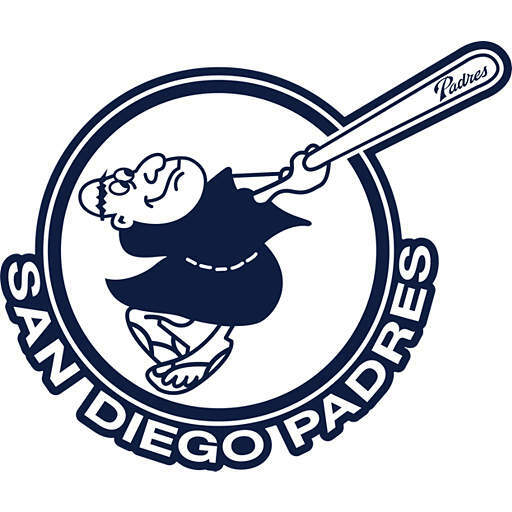 It's simple, but still has its own flair to it that makes it scream "Padres" in my eyes. i primarily based these off of the 74-77 home designs, the striping anyways, but inverted the brown and gold to more accurately reflect the importance of each color. For the alternates, I decided the best way to appeal to the lowest common denominator I mean normies I mean :censored:ing dumbasses I mean those with different opinions than me was to avoid my favorite scheme for the padres (2016's blue and gold) and go for the brown/orange/yellow scheme used in the home run derby for the home alternate, and blue/orange scheme of the Tony Gwynn era for the away alternate. As much as I hate to admit it, they turned out kinda nice actually, and I'm almost sorta proud of myself for making this work. I never wanted to go for the full throwback on these jerseys, as I just couldn't help myself with this gorgeous typeface I will brag about for the rest of my life, but I felt that I captured the essence of the eras they were based off. Also, for the sleeve patches, they're meant to not have the words. 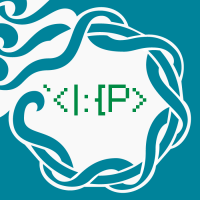 Essentially, it's a partial logo that I didn't feel like putting into the logosheet. Any chance we could get a "trust your instincts" version? You forgot @MJD7 and @Victormrey as baseball designers. Padres look great by the way. The Padres are on point. This is pretty much exactly what they should be wearing. Also, that mission tower logo is top notch. I love the mission logo too but might an actual Christian cross on a sports uniform upset people? Probably not. Nobody complained about a Franciscan habit on a uniform. It's just as religious a reference. No it isn't. It's related to Christianity, but the cross is the symbol of Christianity. I think this is different because it’s a building with a cross on it, not just a cross. Interesting. I suppose I stand corrected.